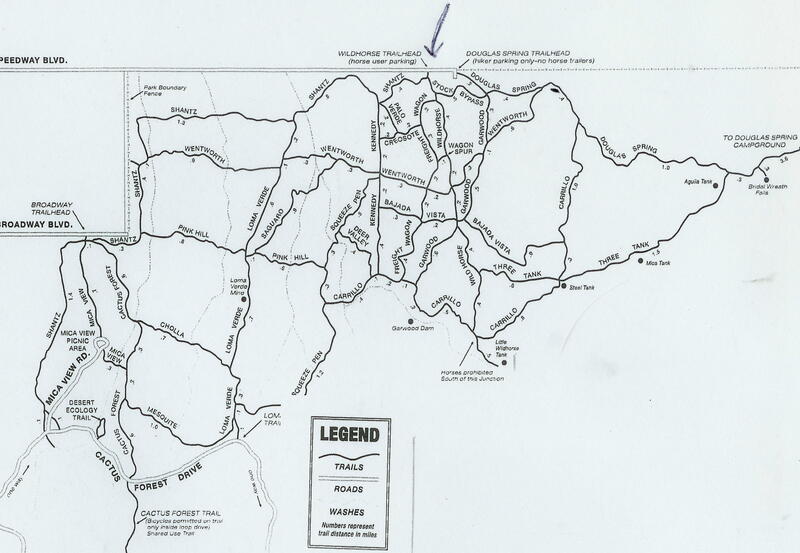 This is a trail that will most likely be used as part of a larger loop hike since its start and finish points are not at any trail head. 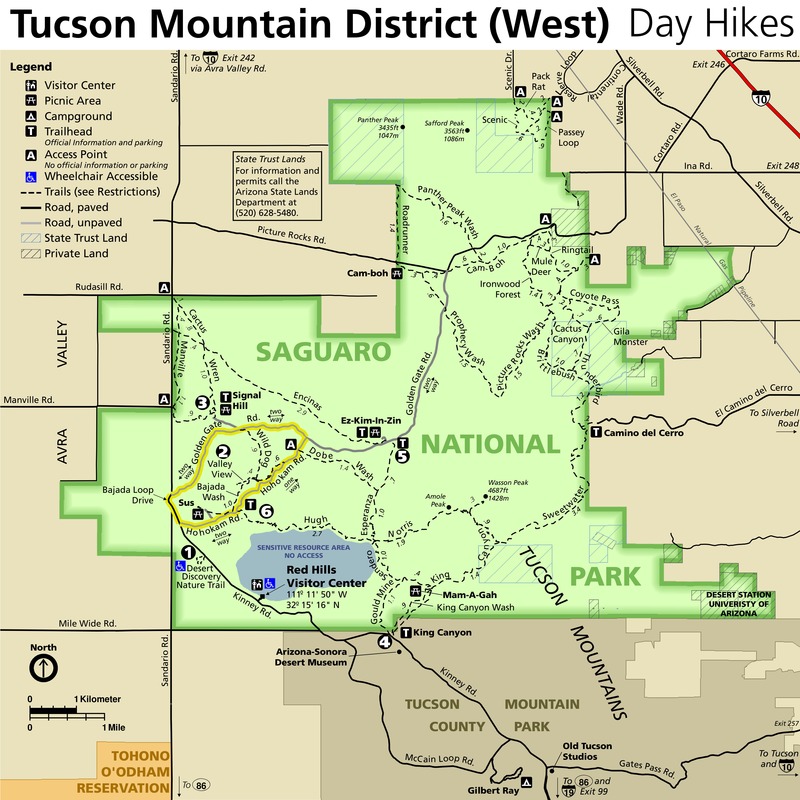 The trail on the western side starts along the Cactus Canyon Trail and its eastern terminus in a wash at the Coyote Pass Trail. 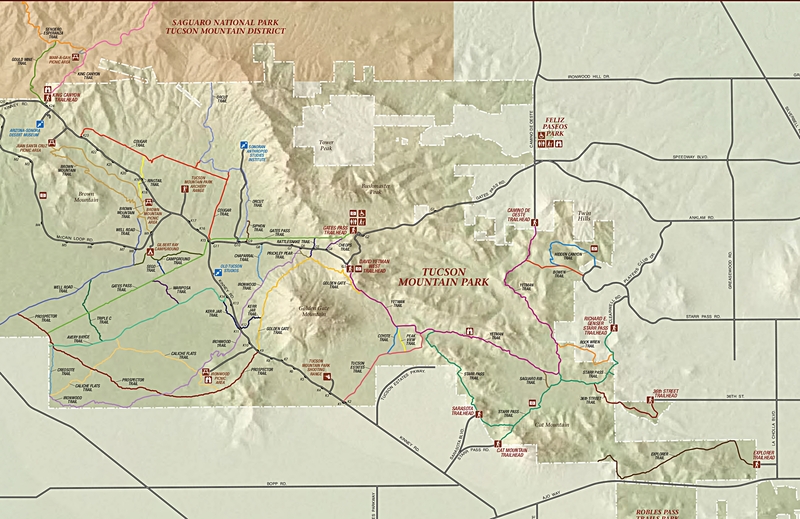 The trail is .6 miles long and from the cactus Canyon Trail it heads first down along a trail then the last half along a wash. Signs mark the western point and eastern junction with Coyote Pass Trail. 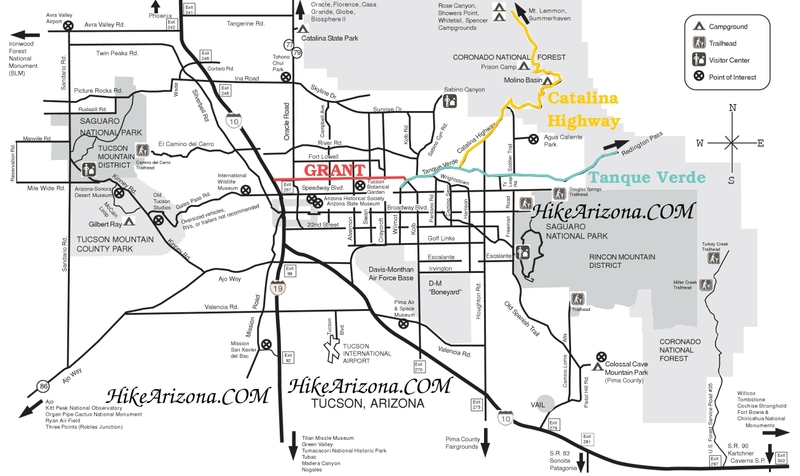 The Gila Monster Trail from the West starts at the Junction with the Thunderbird Trail and Cactus Canyon Trail junction. There is no sign indicating the Gila Monster Trail but there is a sign at this junction indicating the Cactus Canyon Trail. The Trail heads east down along the north side of a wash for about .3 miles and at this point enters the wash and remains in the wash for the last 0.3 miles. At 0.5 miles in is the signed junction with the Abington Trail. This trail heads to the east with an access point along Abington Road. At 0.6 miles in keep an eye out for a wash entering from the west, this will be the intersection with the Coyote pass trail. There is a sign indicating this junction but it is kind of hidden on the west side of the wash near some brush. If you are looking for it it will not be hard to find. 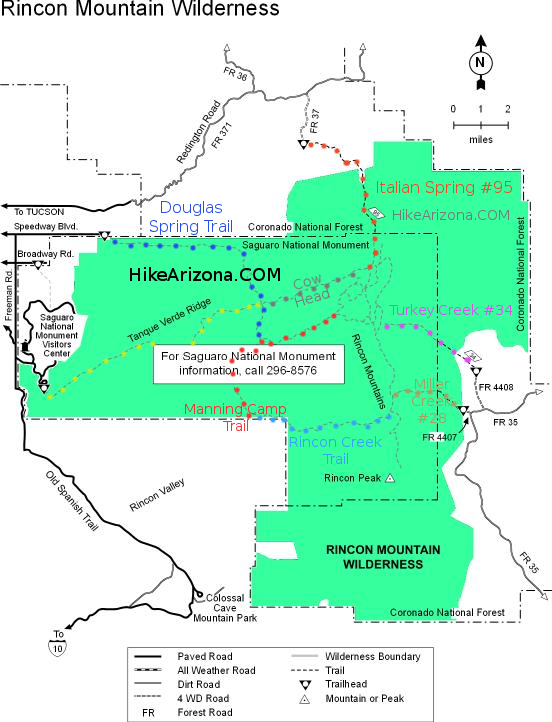 Nothing really stands out about this trail, your standard generic walk down a desert slope and ending by walking along a generic desert wash (not so true if you are into petrology). This trail is obviously meant to be used as a connector trail to connect up with the Coyote Pass Trail or possibly the Abington Trail. 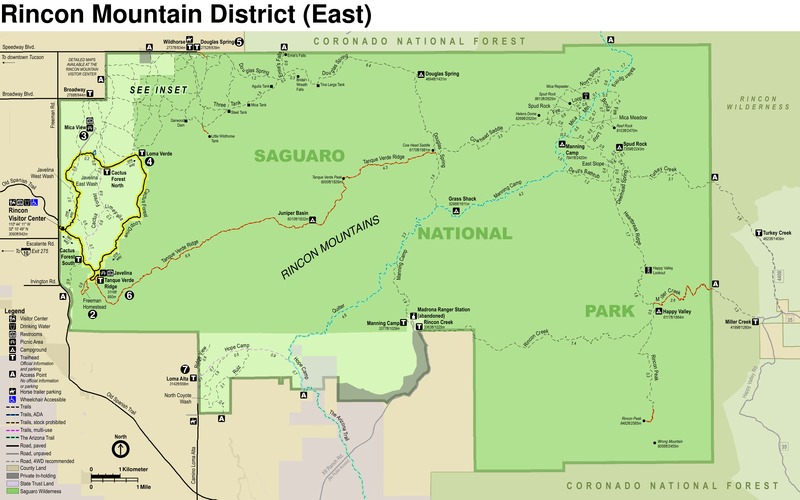 Access to this trail would be from either the El Camino Del Cerro via the Thunderbird Trail or Picture Rocks Road at Contzen Pass via the Ringtail and cactus Forest or Coyote Pass trails.